Recently, the Federation of State Medical Boards released their most recent statistics on doctor discipline by the fstate medical boards. There was a 6.8% increase in the number of doctors who were disciplined by state medical boards. 6,025 doctors were disciplined by state medical boards in 2011 compared with 5,652 in 2010. 1,905 doctors had their licenses revoked in 2011 compared to 1,815 license revocations in 2010.
patients at risk. Specifically, he is concerned that the majority of disciplinary actions are merely reprimands or warnings and not actual punishments. What do you think? Do state medical boards do a good job protecting the public from medical malpractice or could more be done to discipline doctors and protect patients? child begins to be in the exam room alone with the doctor. However, it is most often still the parent who chooses the doctor and the choice that you make is important. You may send your child to the pediatrician whom you have been using you may choose a new doctor. Either way, you need to make sure that your child is comfortable and that the doctor is both safe and experienced at working with teens. doctor for your child and to help protect your child now and in the future. Are Pharmacists Important for Patient Safety? 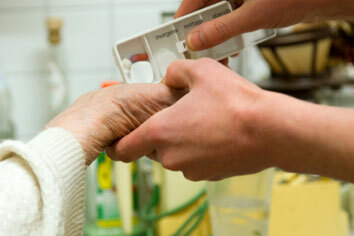 vital check by a pharmacist is missing which could impact patient safety. There is also concern about whether a busy doctor’s office can properly store and label medications so that dangerous drug mistakes aren’t made. As a patient what do you think of this? Would you be comfortable accepting a prescription straight from a doctor without a pharmacist reviewing it? Please leave a comment and share your thoughts. Do Low Income Patients File More Medical Malpractice Claims? Some doctors allegedly assume that poor patients are more likely to sue them for medical malpractice than their middle income and higher income patients. A new study published in the February 25 edition of the journal Clinical Orthopaedics and Related Research found the opposite to be true. other patients. The study suggests that low income patients may lack the resources to start a medical malpractice case and may be unaware of the legal resources available to them. lower income patients and help provide quality healthcare to people of all income levels.